Over the life of a home, roof installation and replacement are usually the most expensive projects a homeowner has to pay for. 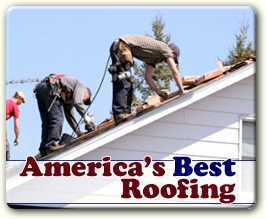 Luckily, a quality roof does not have to be replaced more than once every fifteen to twenty years. It is a job that should be budgeted for in advance. To do that, you need to understand not only how much a new roof installation will cost, but also what maintenance you can do to put off that large expense for as long as possible. Two main factors go into determining how much installation of a new roof will cost: surface area of the roof, and what type of roofing material you choose to use. All roofing options are usually sold per square foot or per roof square, a measurement which equals 100 square feet. Labor accounts for a large chunk of the final project price. First, professional roofers must remove the old shingles, tiles, or shakes and get down to the actual roof. All of this must be hauled away, which adds an additional cost. Next, they need to lay down tar paper or another appropriate barrier to lay the roofing material over. This adds another cost for materials plus labor. Finally, they install the new roof, which is the most time-consuming and costly part of the process. Besides size and material types, other factors that may contribute to cost include the slope of the roof, how many different roof angles exist, the number of skylights, chimneys, and other features, and any weather or fire retardant treatments. 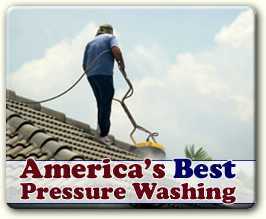 Asphalt shingles are the least expensive type of roofing material, around $120 per roofing square. Clay tiles come next at approximately $400, then slate at around $900 and finally metal at nearly $1,500. The average home roof installation costs approximately $4,000 to $8,000 in the United States. One way to stave off the need to replace your roof sooner is by performing proper repair and maintenance on it over the years. This could not only save you money in the long run, but also makes your roof function better while you are living in the house by preventing damage and stopping leaks. Any time bad weather such as a hurricane, windstorm or blizzard comes through, the roof should be inspected for any missing shingles or other damage. If there is any sign of water damage on the ceilings, the walls or in the attic even without storms, the professionals should be called immediately. Repair costs a lot less than total replacement or home interior repair and mold remediation due to a leak. Even undamaged roofs need maintenance at times to keep performing optimally. Gutter cleaning will help prevent ice dams and water from pushing up under roofing. Power washing or other cleaning of roof shingles or tiles will stop moss, mold and mildew from growing and damaging anything. Debris should always be removed promptly. 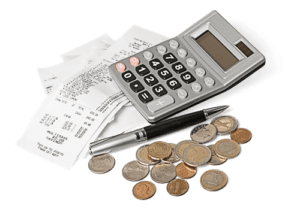 Depending on exactly what needs to be done to maintain the roof, actually getting a professional up there to do it may cost anywhere between five cents and 20 cents per square foot. As with installing a roof, many factors come into play: the material of the roof, how large and steep the roof is, and exactly what type of job you need to be completed.